I usually don’t go for the full HDR look, but I thought this Danger, Will Robinson style robot at the 2013 Maker Faire looked cool with the HDR and tone-mapping turned way up. 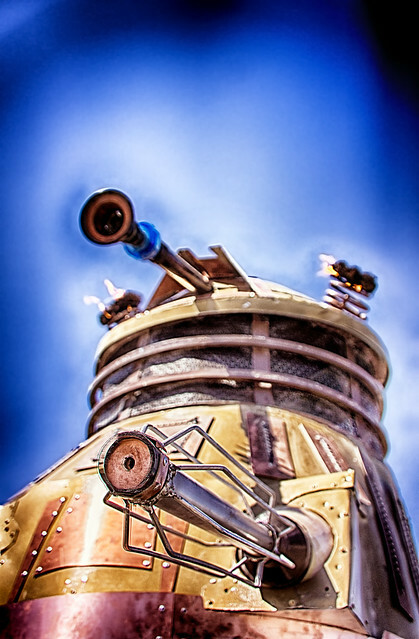 Edit: As Lael Rapier from G+ pointed out, this is #Dalek from Dr. Who. I’ve only watched a few minutes of Dr. Who so I had no idea. This entry was posted in HDR and tagged HDR, Roboto on September 23, 2013 by eric.